Announcing the 2019 senior intensive…. 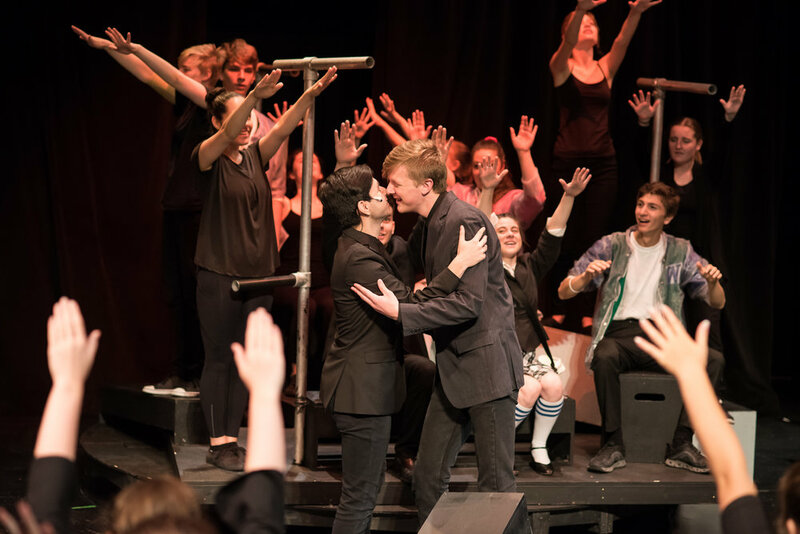 During the two weeks, singers between the ages of 14 and 24 are challenged to rehearse and stage an entire musical. Singers must be willing to learn their music before they arrive to the program, and must commit to perfect attendance throughout the rehearsals. There will be three performances at the end of the two weeks. Auditions: April 27, 28, 2019. Callbacks will be held on April 29th. (digital auditions may be submitted). Prepare one musical theatre song to perform. Accompanist will be provided. Tuition: $525 per person plus HST. Tuition plus accommodation for 2 weeks: $1750. Out of town applicants may submit a digital audition before the audition dates. Please prepare 2 musical theatre songs to record as well as one contemporary monologue. Auditions should be submitted before April 26th, 2019. The fully-furnished apartment is in a luxury home just outside of town. Over the years, students from all over Canada and the U.S. have taken part in the Intensive Workshop. We have welcomed performers from Oakville, Windsor, New Brunswick, British Columbia, Calgary, Virginia and New York. All scheduled rehearsals and other events are mandatory for all singers, and failure to attend may result in dismissal from the program! This Intensive Workshop is intended to simulate a short, intense rehearsal schedule of a professional show. Please reconsider auditioning if you are not prepared to work!